I wrote a post last summer about a Victorian trade card for James Pyle's Pearline Washing Compound and detailed a good bit of the history of the company, which peaked between about 1870 and 1907. 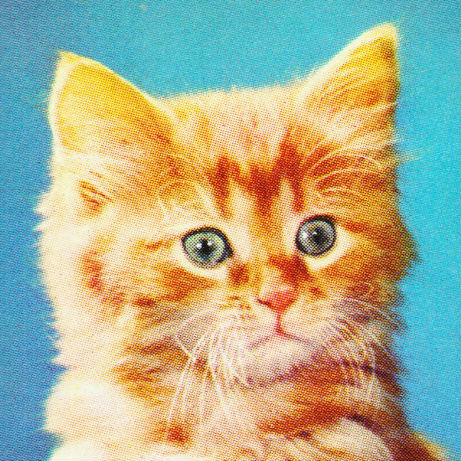 Here's another trade card for the company. 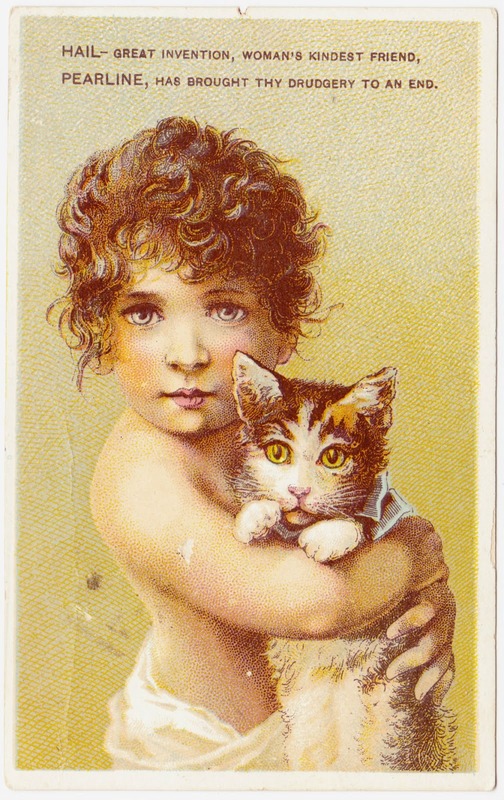 And it once again features a young child and a kitty cat. Maybe people associated children and cats with doing the laundry. Maybe that's because you have to do the laundry more often if you have children and cats in your household. 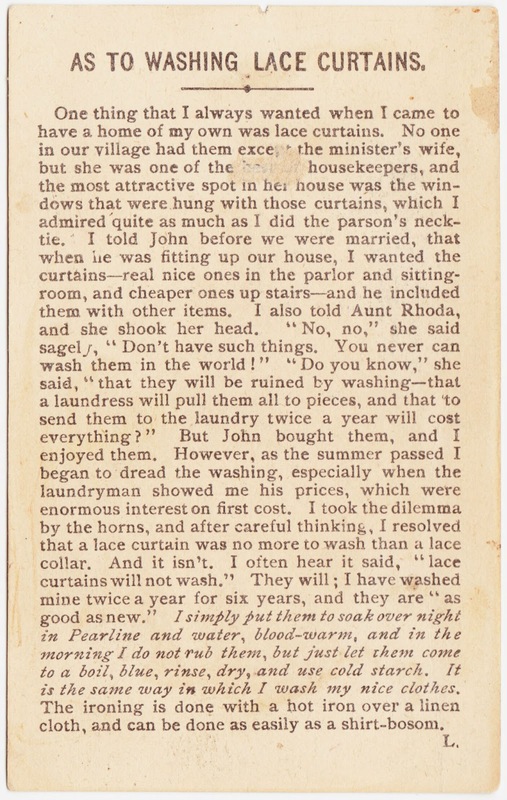 The back of this card features an exciting tale about washing lace curtains.